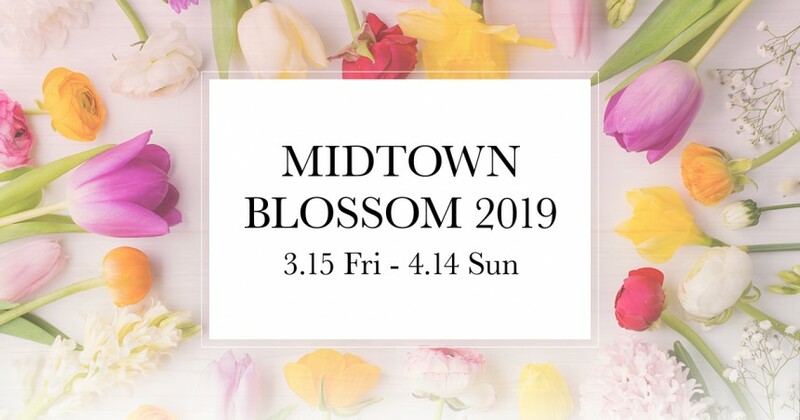 Located in and around the Tokyo Midtown complex, Midtown Blossom 2019 is a luxurious way to enjoy the sakura season. About 150 cherry trees along the 200-meter Sakura Dori (cherry street) will be in full-bloom, providing the perfect view for a spring stroll. At night, pink and yellow lights illuminate the trees until 11pm. The event offers a selection of venues and activities in conjunction with the Ritz-Carlton. Sip on rosé amidst the cherry trees at the “Chandon Blossom Lounge,” browse a street museum and enjoy spring-themed floral artwork at the Midtown Galleria. Also, swing by the Canopy Square at 11am on March 30 to receive a glass of premium rosé sparkling wine at the “Cheers Sparkling” event.